Despite a previous ESPN report that former NFL tight end Martellus Bennett was consider coming out of retirement to play with his brother, Michael Bennett, and the New England Patriots, Martellus says he's choosing to stay retired. On Monday, the 32-year-old Martellus, who since retiring ahead of the 2018 NFL season, has spent a lot of his time helping to create books and other projects aimed at children through his company, the Imagination Agency. posted a heartfelt message on his Instagram account in regards to why he's electing to stay retired. "I would love to play ball with my brother it would truly be a dream come true. But my biggest dream is to change lives with my creativity and that is what I am currently doing with The Imagination Agency,” Bennett said in part of his post. "These kids don’t need another athlete to look up to or to aspire to be there’s plenty of inspiration out there for that. I want to inspire the next wave of creatives. ... I was never one of the guys most of my teammates would tell that. I’ve always been a creative who enjoyed competing. I’m playing the game that I was made to play and it’s the most fun I’ve ever had." The Patriots acquired Michael Bennett, who plays defensive end, and the rights to a 2020 seventh-round draft pick after sending the Eagles a 2020 fifth-round pick on March 8. 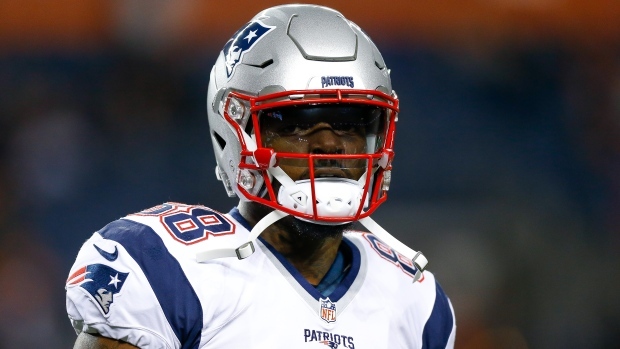 On the same day that news of the deal broke, ESPN's Adam Schefter reported that Martellus, who had two separate stints with New England and won a Super Bowl with the club (2016), was interested in unretiring to join his brother in Foxborough. The two brothers, who are a year apart with Michael being the older of the two siblings, played together in college when they both attended Texas A&M but were never members of the same team at the NFL level. The younger Bennett recorded 4,573 receiving yards and 30 touchdowns on 433 career receptions. He also played for the Dallas Cowboys, New York Giants, Chicago Bears and Green Bay Packers over his 10 seasons in the NFL.